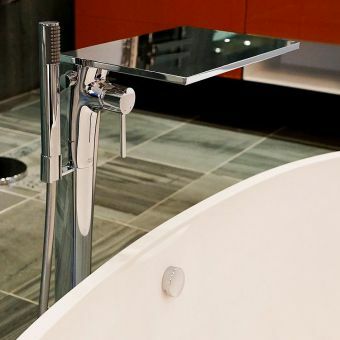 The bath that doubles up as a walk in shower area is a common space saving solution, but that is no reason to compromise on quality or performance. 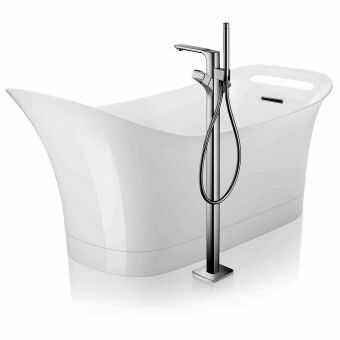 The Ecostat Universal Exposed Bath and Shower Mixer delivers a series of high performance, visually strong options to cater for the bath and shower area. 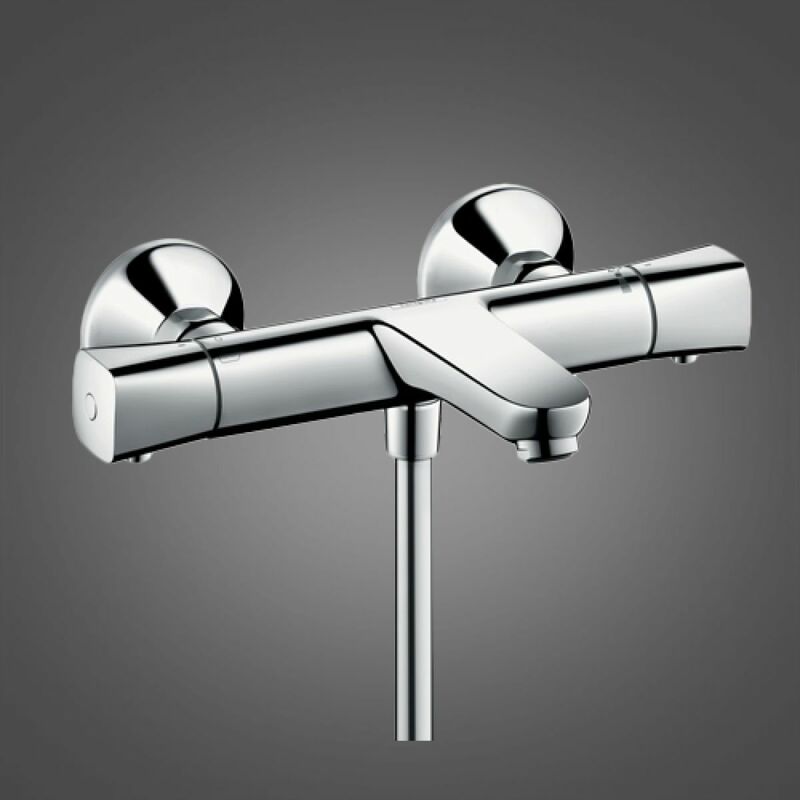 Given a brilliant chrome finish, simple controls, and an accessible price point, it is no surprise that the Ecostat Universal series is one of Hansgrohe's most popular options. 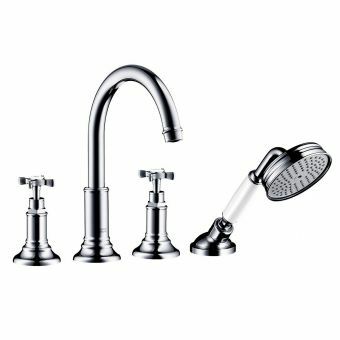 Mounted to the wall above the bathtub, this mixer set operates both the shower and bath outlets to give the perfectly balanced bath or shower every time. 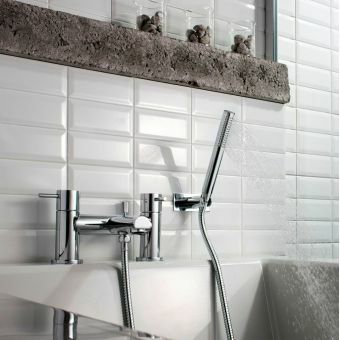 A choice of three different handle sets are on offer, each giving the piece a different twist. For users who struggle with more streamlined components, extended handles give that extra element of grip for ease of turning. Interior ceramic cartridges ensure a smooth action and a drip free system when not in use. 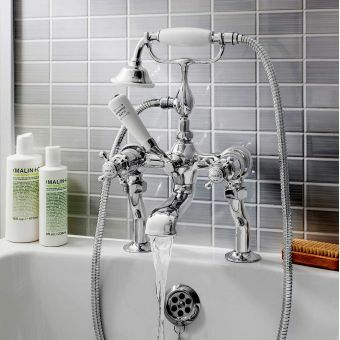 Selecting between the bath and shower outlet options is quick and fuss free with the integrated diverter. 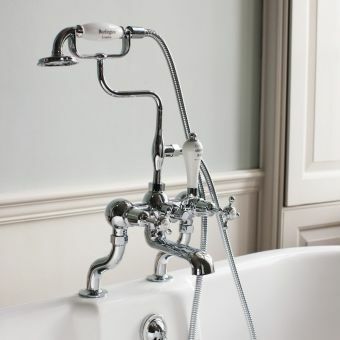 Designed to deliver both safety and comfort, this unit features a thermostatic cutout option, ensuring that in the event of loss of cold water there is no risk of scalding. 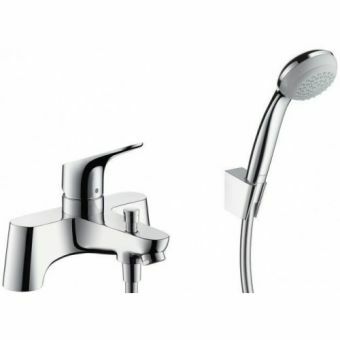 Hose sold separately, compatiable with Hansgrohe shower hose and handsets.